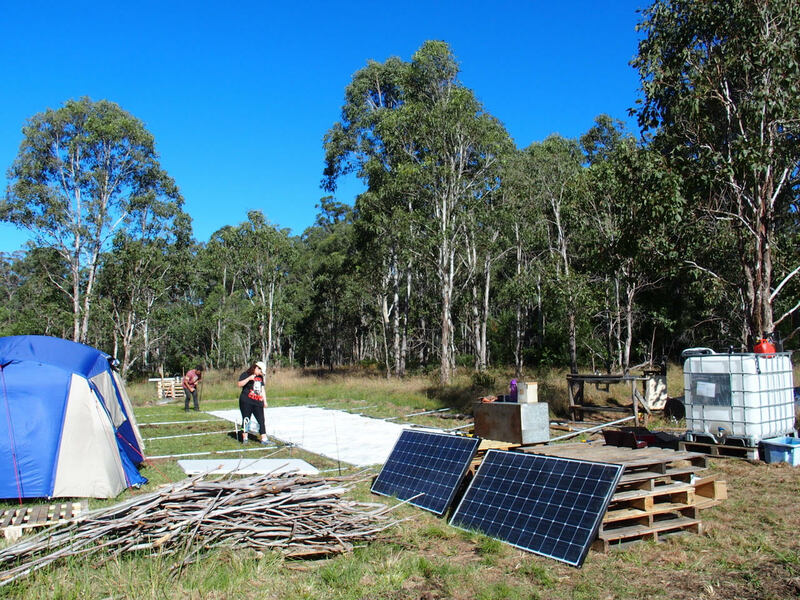 Stage one was mowing grass and then erecting a large family tent on the chosen site. 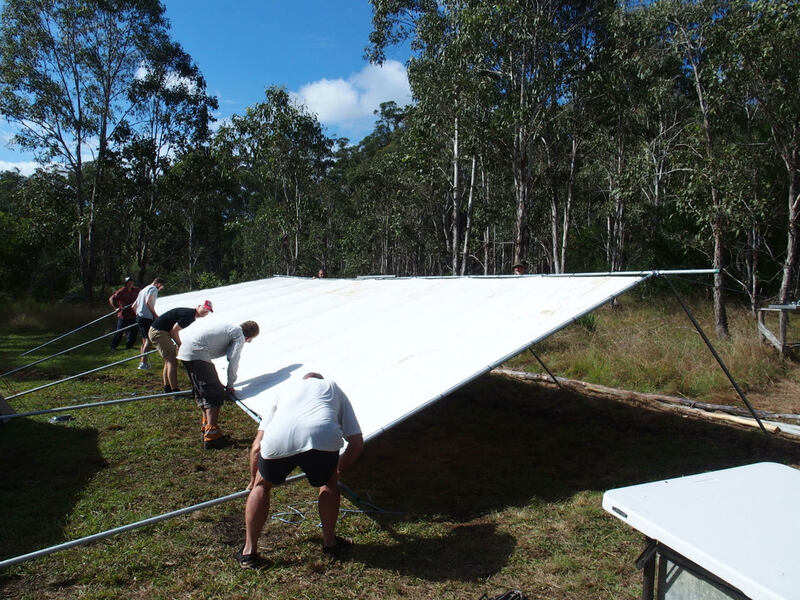 Shortly afterwards Cyclone Debbie made her presence felt nearly washing the tent away in the flood. 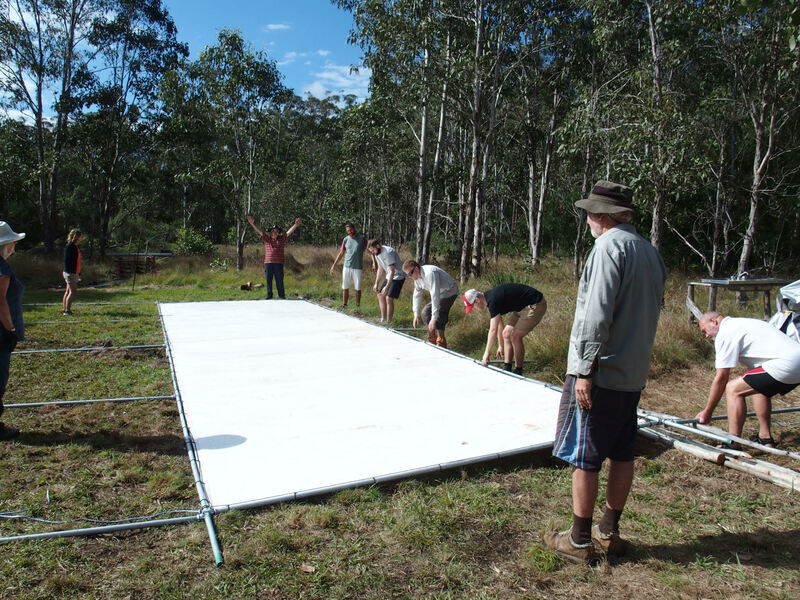 Stage two was obtaining a large tarpaulin, round pipe and downey fittings to give shelter to the tent and create a covered living area. This was erected with much help and excitement as it was a tricky task to get it in place and not collapse. 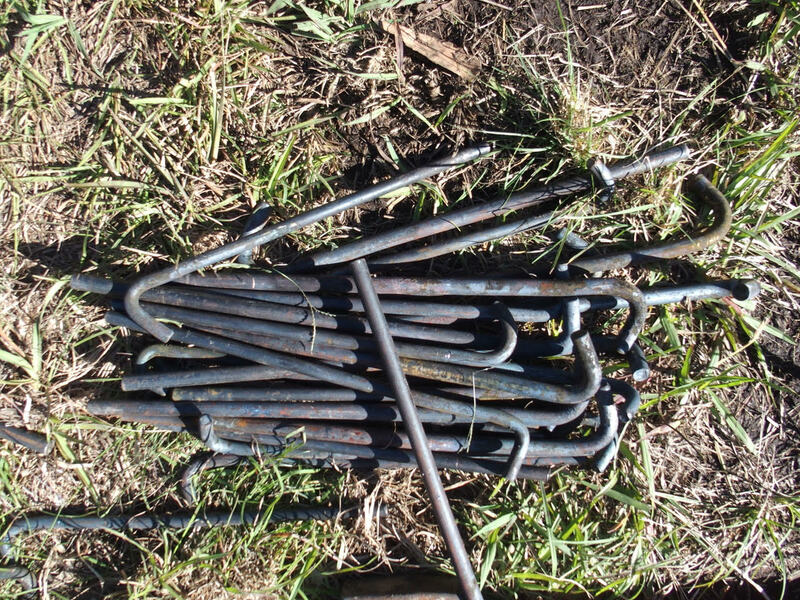 Tent pegs were created out of construction metal rod which was cut to size and then shaped in the hot coals of the campfire. 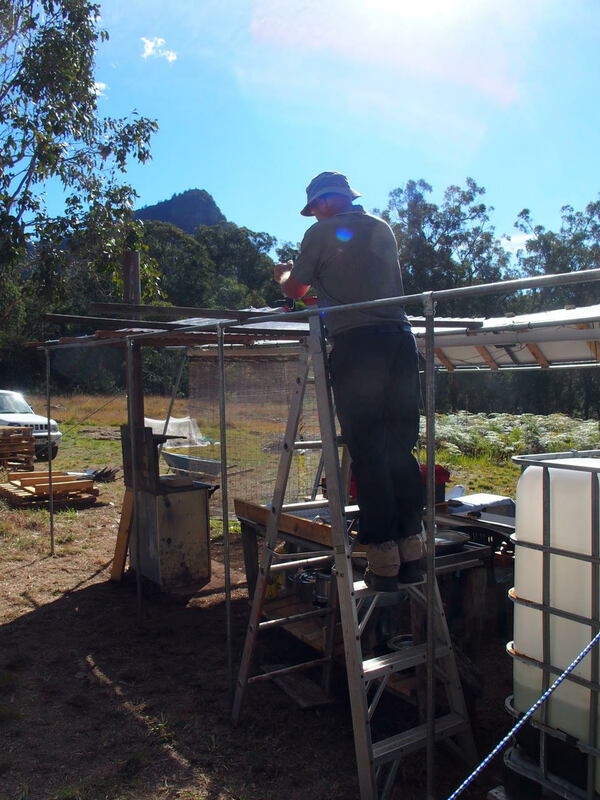 Solar power items and water tanks were sourced and put in place. A compost toilet was made out of a recycled blue barrel and the wood from pallets. 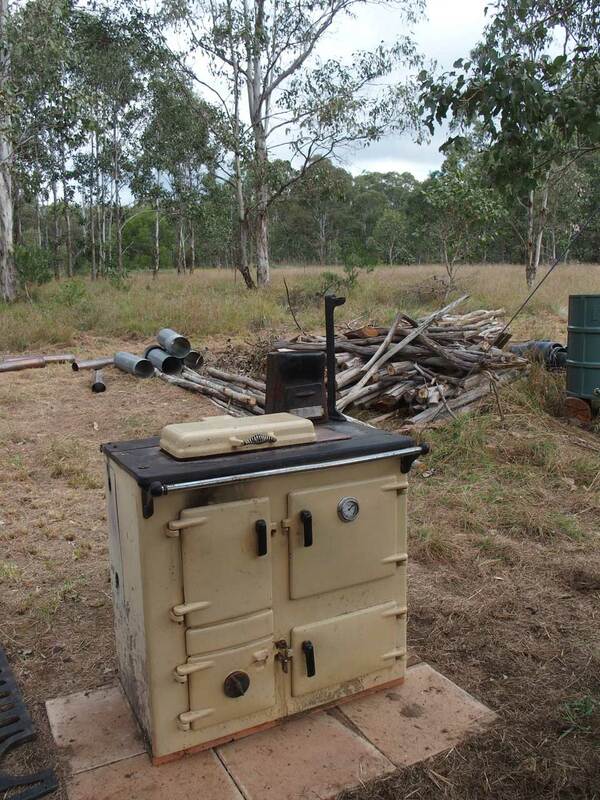 Stage three, over the course of several weeks a Rayburn stove was found through Warwick Buy, Sell and Exchange bought, transported to Bindarrabi in Doone's combi, and placed on a tile base at the edge the camp. A roof was built to make a fire and water proof cover for the Rayburn and washing up area. Stage four saw the construction of raised pallet flooring under the lounge and tent areas to lift everything above the ground making it more pleasant during times of flood. 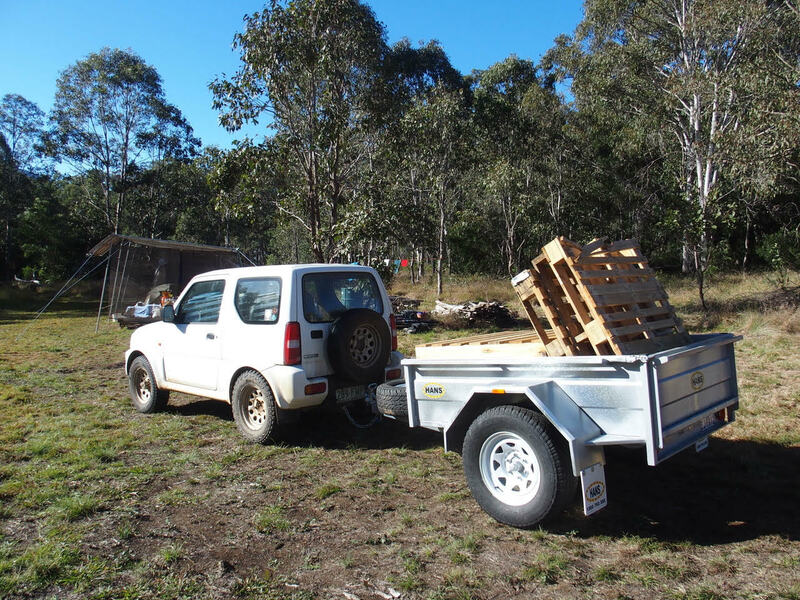 Used pallets were sourced from Warwick Farmers Market over the course of several weeks/months. To make a usable surface ply flooring was bought and screwed to the pallets. To finish a mix of linseed oil, turps and beeswax was painted on to give water resistant protection. Under the floor several surface drains were dug to allow free drainage of surface water. Stage five included obtaining a container and a yurt to create an office, storage area and the yurt will be a living area for Joy. 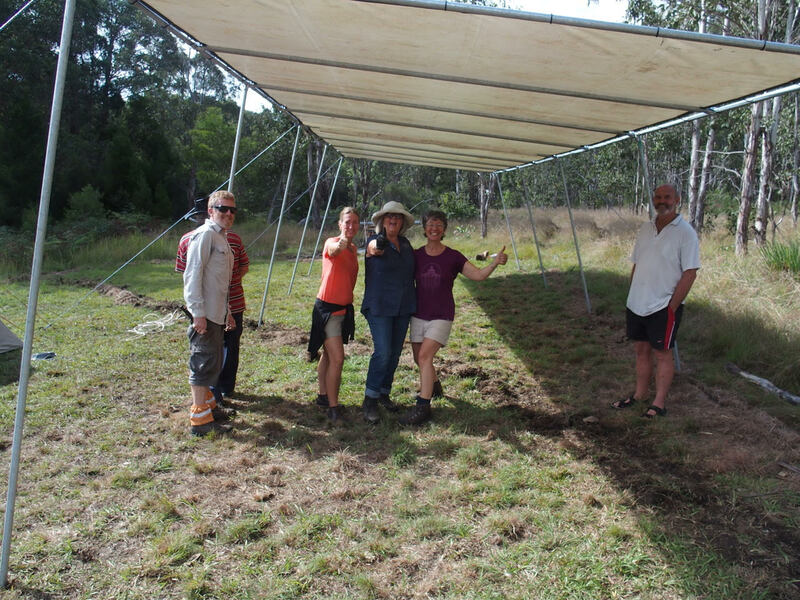 A second tent for volunteers was bought, now increasing the sleeping area to comfortable sleep up to 6 people.